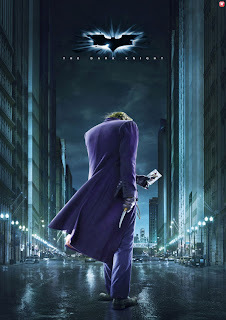 "Did playing the psychotic villain, the Joker in the new Batman sequel,THE DARK KNIGHT kill Heath Ledger?" Ledger Death Poses Problems for Warner Bros.
What certain people are going to interpret from seeing Ledger as the Joker is out of ANY body's control-it's gonna happen no matter what Warner Bros. does - and i hope they don't consider altering things just because of this tragedy- if anything the film should be considered a legacy-all advance word has stated the great performance the actor gives. Hell,if it was a G rated Disney family comedy,where he plays a happy go lucky guy,with no problems in life people would find "ironic" elements in the story-no way of avoiding it.